Missy Detailed Description Box – Info Here – Look no further than the Tidewater Sail Cloth Tent. Romance has never been more stylish, with sculpted peaks and eaves in translucent sailcloth that enhances daytime events with warm natural light, and brightly glows for evening gatherings. It’s simplicity and elegance tied into one. 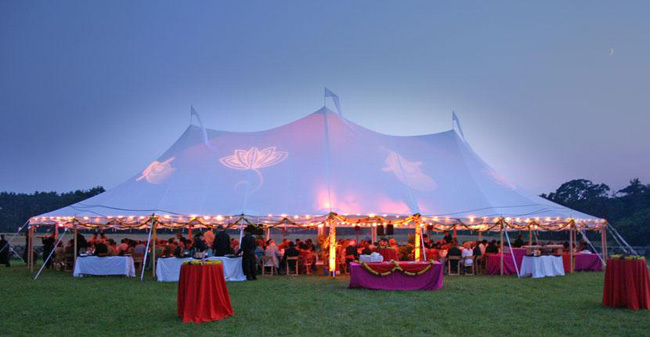 Our elegant Sailcloth Tent fabric is 100% waterproof and built strong to help assure your special day is not affected by the elements. Our vast network of locations, each staffed with talented event professionals, are able to help you plan for the most amazing day of your life. Come and celebrate under the Tidewater Sailcloth Tent. For reservations call us today at ….